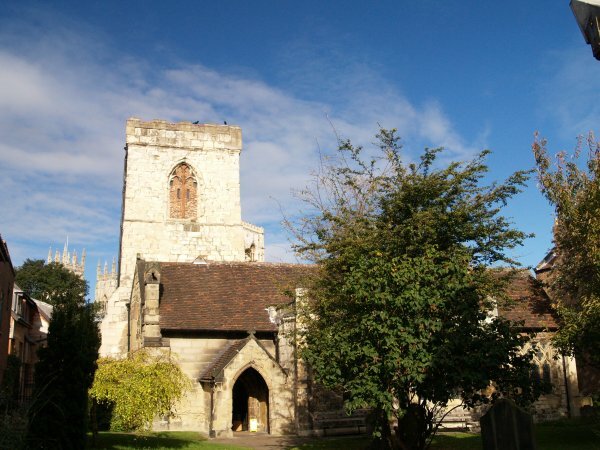 The twin west towers of the Minster can be seen on the left of the 15th century west tower of this fascinating old medieval church built between 1250 and 1500 on the site of an earlier church, it was first mentioned in the late 11th century and definitely in the 1120's. 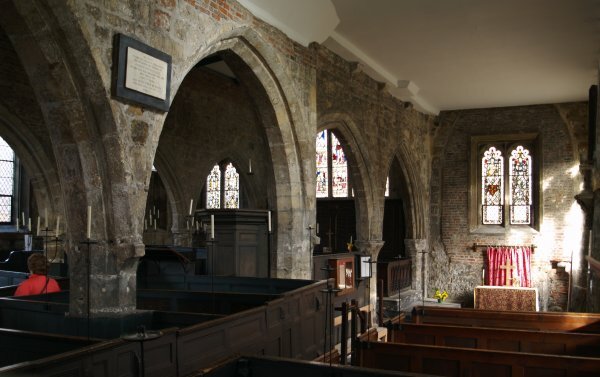 The nave has a north and south aisle. The double-decker pulpit dates from 1785. 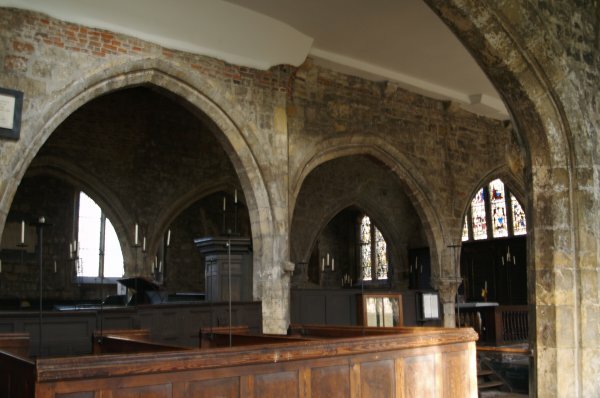 The church contains many Jacobean box pews and the columns of the aisle arcades have octagonal piers and double-chamfered arches. 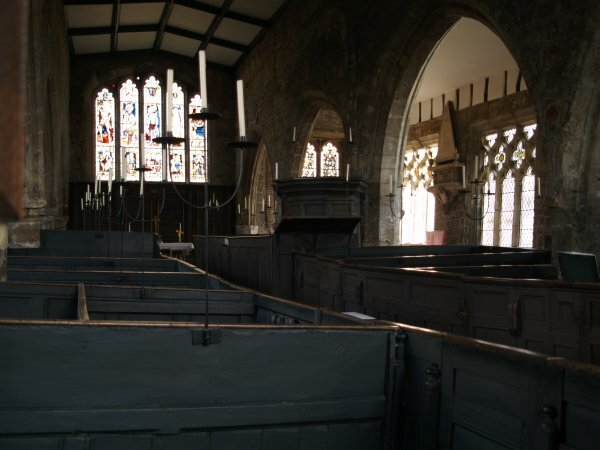 It retains its original 17th-18th century box pews but much of the church is 13th and 14th century. 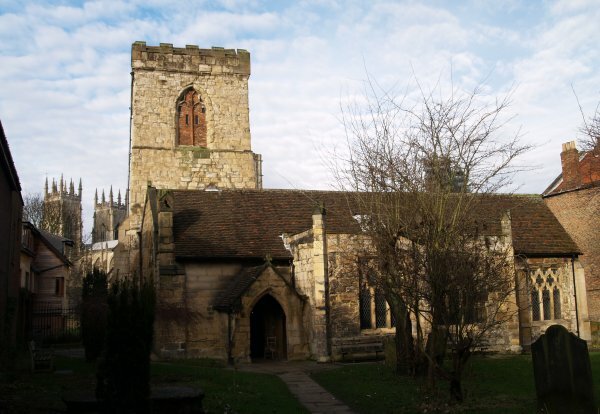 Holy Trinity, Goodramgate, has never been rebuilt in modern times e.g. Victorian and is therefore a good representative of the layout of a post-Reformation church. 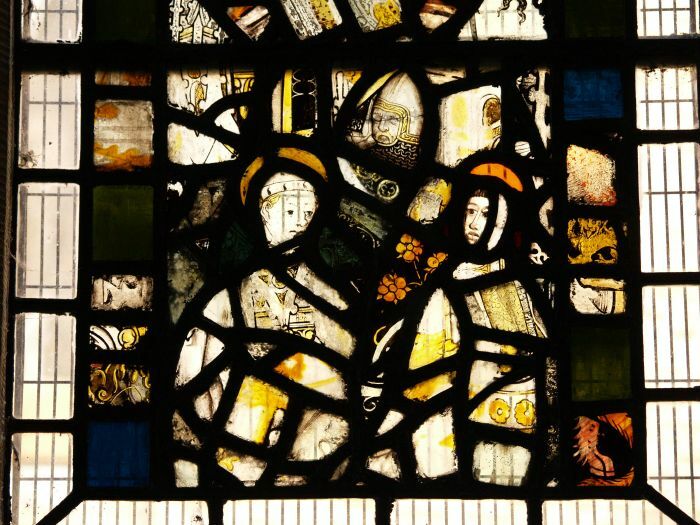 The eastern windows contain some medieval glass. The five light one above the altar is on the left of the above picture. The south windows on the right have the Decorated style of tracery. 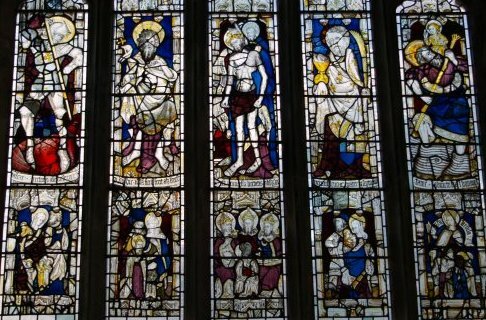 Stained glass in Holy Trinity Goodramgate which is the 2nd oldest medieval church in York. 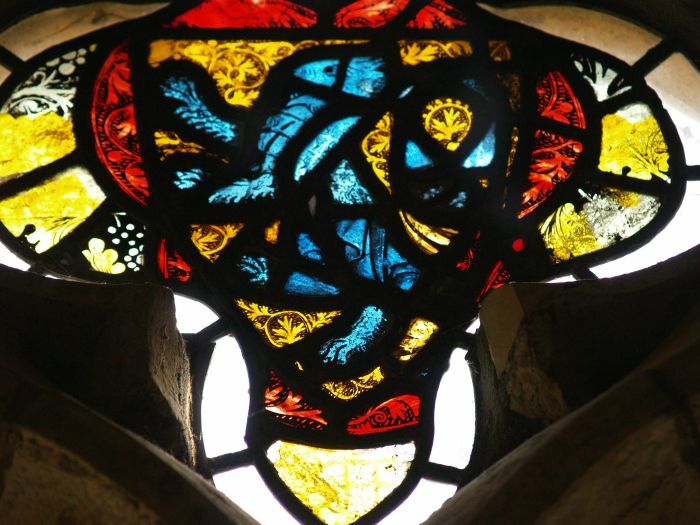 and some of the splendid century medieval glass survives like the five-light east window shown above. 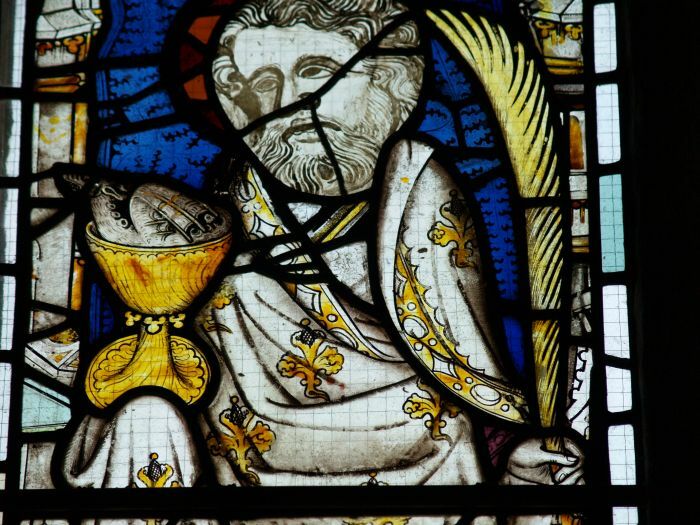 It was given by the rector John Walker in 1470. 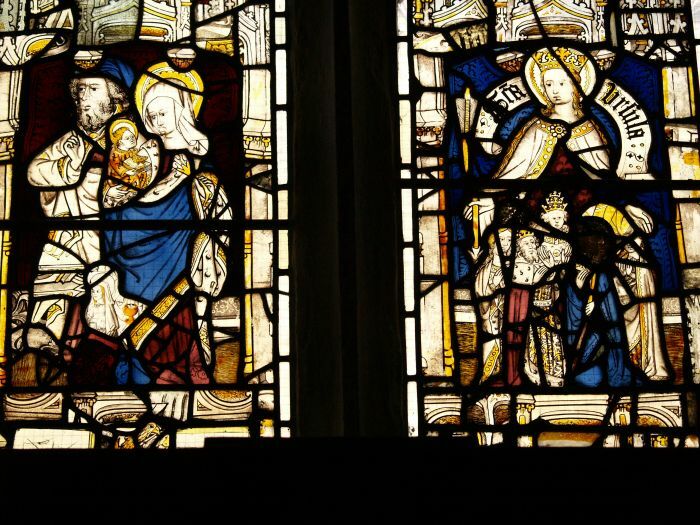 Above and below: Details of panels of the east stained glass window above the altar. 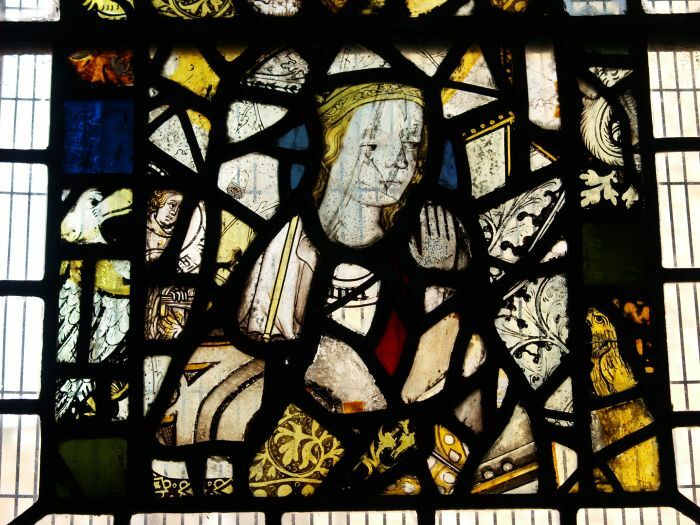 There are lots of 'fragmented' panels in the medieval glass windows. 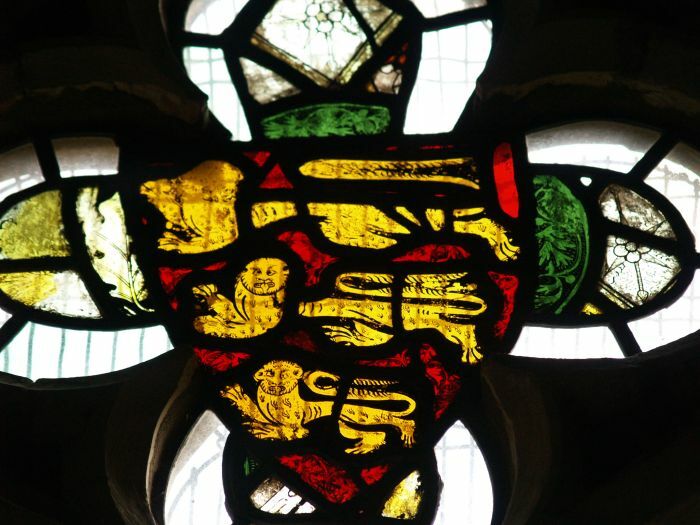 Above and below: Details from south aisle windows - intriguing lions! 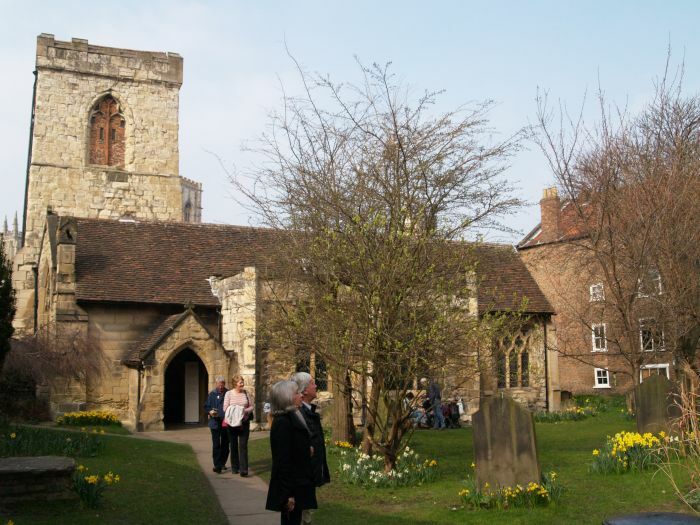 On the right of the entrance to Holy Trinity is Lady Row cottages, the oldest row of humble domestic buildings surviving in York, they were built in 1316 in the churchyard of Holy Trinity Church to endow a chantry to the Blessed Virgin Mary. 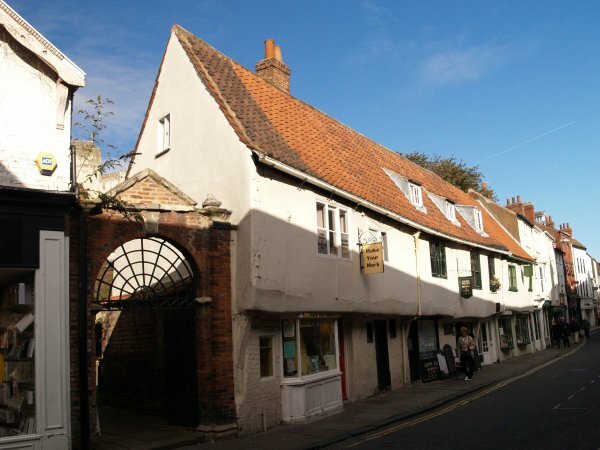 The buildings are the earliest example in England of an upper floor projecting beyond the lower floor.